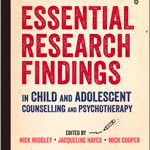 The publishers describe this book (2014) as being an “… urgently important critique of the widespread medicalization of normality. Anyone living a full, rich life experiences ups and downs, stresses, disappointments, sorrows, and setbacks. 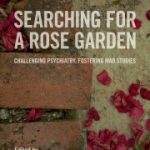 Today, however, millions of people who are really no more than ‘worried well’ are being diagnosed as having a mental disorder and receiving unnecessary treatment. 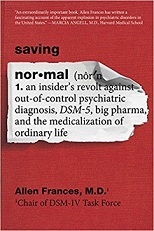 In Saving Normal, Allen Frances, one of the world’s most influential psychiatrists, explains why stigmatizing a healthy person as mentally ill leads to unnecessary, harmful medications, the narrowing of horizons, the misallocation of medical resources, and the draining of the budgets of families and the nation. 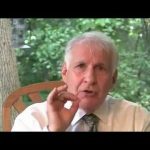 We also shift responsibility for our mental well-being away from our own naturally resilient brains and into the hands of ‘Big Pharma,’ who are reaping multi-billion-dollar profits.